Tim Finchem, PGA Tour Commissioner and Chairman of The First Tee Board. Below is the same group with Dr. Jim Kooler. The National First Tee Organization hosted a Nine Healthy Habits Summit in conjunction with the Clinton Foundation Health Matters Summit on January 13-15, 2014, in La Quinta, CA. 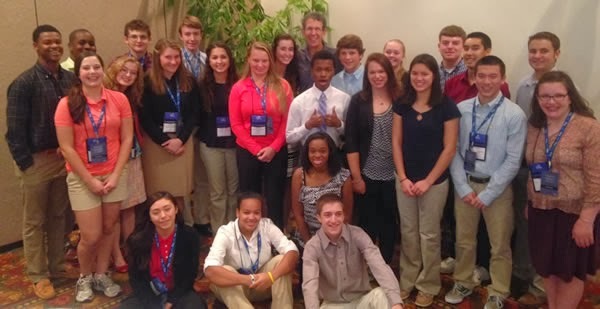 Twenty four young people from across the country came together for three amazing days. On Tuesday, January 14, Lifeplan's Operations Officer Dr. Jim Kooler facilitated a session with the young people to explore their vision for their future. They discovered their values and their inner self. During the Lifeplan session we had a visitor, President Bill Clinton! The plan was for him to spend ten minutes with them and it turned into an amazing hour-long discussion! 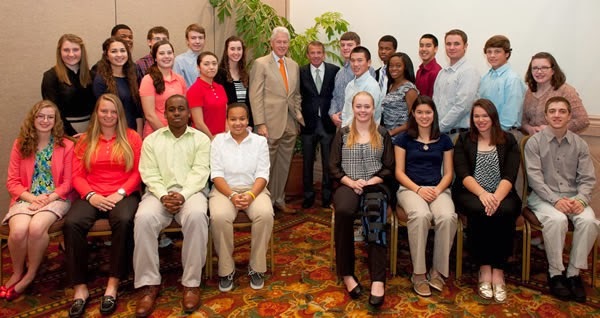 These young people will remember that on January 14, 2014, they met President Bill Clinton. While they may not remember the date as well, on that same day they joined a growing number of youth that have a clearer path to their future with Lifeplan!